100 Pages. Outstanding Pembroke Issue. 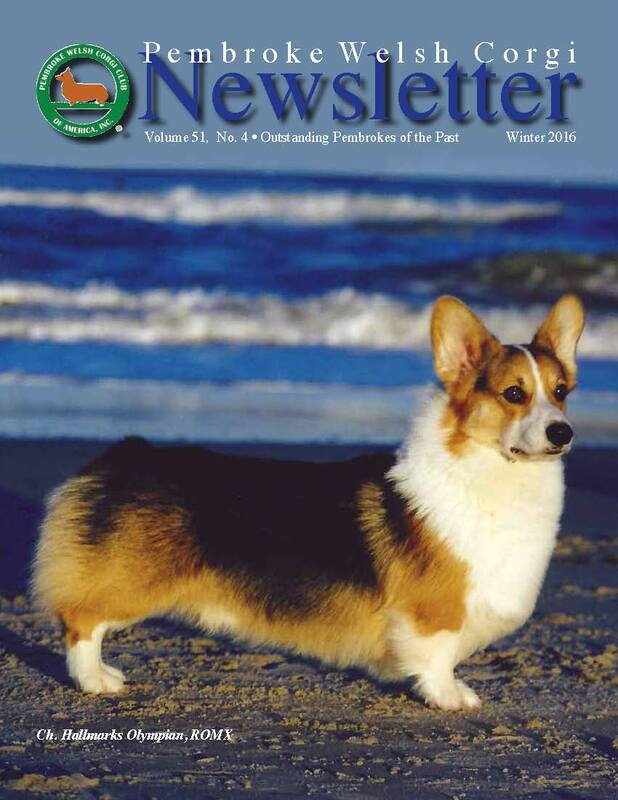 A single copy of the Winter 2016 issue of the PWC Newsletter with color feature articles on Outstanding Pembroke Welsh Corgi of the past, Ch. Hallmarks Olympian, ROMX, written by Cindy Savioli, and Outstanding Performance Pembroke of the past, DC Sua Mah Hail To The Chief, CD TD HXAscd VCX, written by Judy Hart. Also, an article, “The Road To Multiple Versatility Awards,” written by Lynda McKee. Columns include a report by the AKC Delegate Anne Bowes and a message from PWCCA President Marilyn Van Vleit. Specialty reports include Columbia River PWCC, Cascade PWCC, PWCC of the Western Reserve, PWCC of the Garden State, Mayflower PWCC June 15-16 and Mayflower PWCC June 17. The Regional Talebearers Spotlight features the Greater Houston Pembroke Welsh Corgi Fanciers with photos. Rounding out this issue is the Calendar of Events, PWCCA Business information, the Editor’s Column and color and b/w ads featuring PWCs. Available only as long as supplies last. Please choose "Foreign" or "Domestic" Shipping in the Price Options dropdown menu.